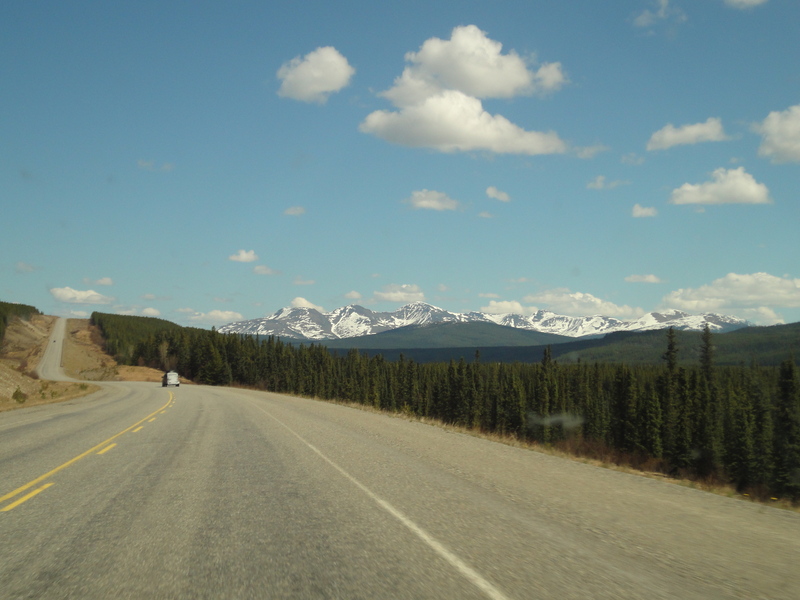 I don’t think they were singing about “the Alaska Highway”… but they should’ve been. What shocked me the most is that this super famous highway has MILES of gravel. 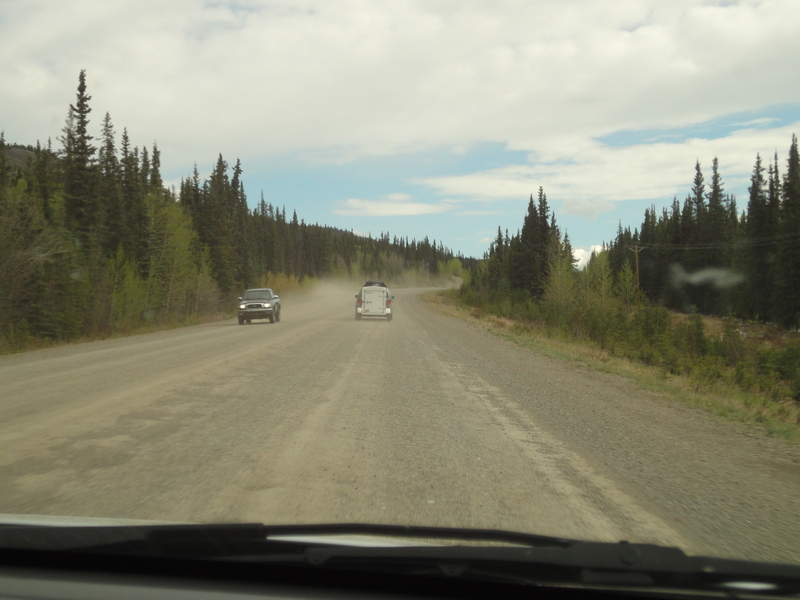 Google sites say that it’s paved over its entire length, and maybe that was true at some point, and maybe it’s in a state of pre-repair, but (at least when we were driving it) there are, in fact, miles of gravel road. The Lodge offers a restaurant, a pub, a campground, free showers (if you are camping, which also have full-hookups) and $5 showers if you aren’t staying there, but really need a shower (again – long gaps between civilization), playgrounds, marshmallow roasts, dog walking, and laundry facilities. 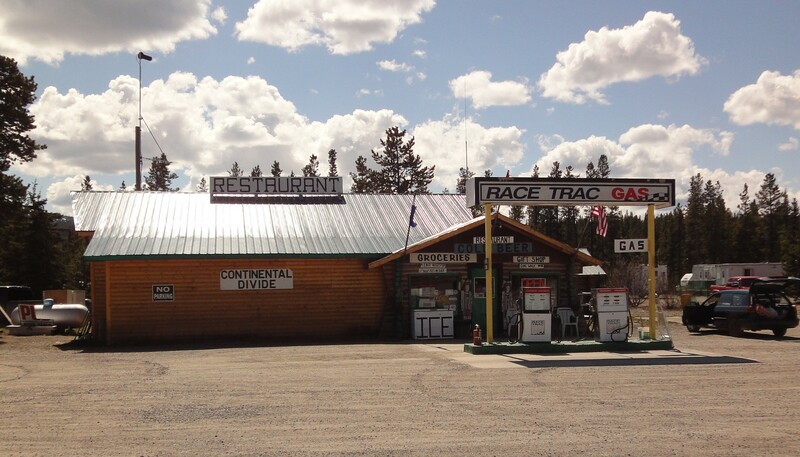 Sometime before we arrived at the Continental Divide Lodge (in the Yukon), we passed over the border into B.C… then back into Yukon…where we stayed until we reached Watson Lake, YT (Historic Mile Post 635). Watson Lake is also home to the just-as-spectacular (?) 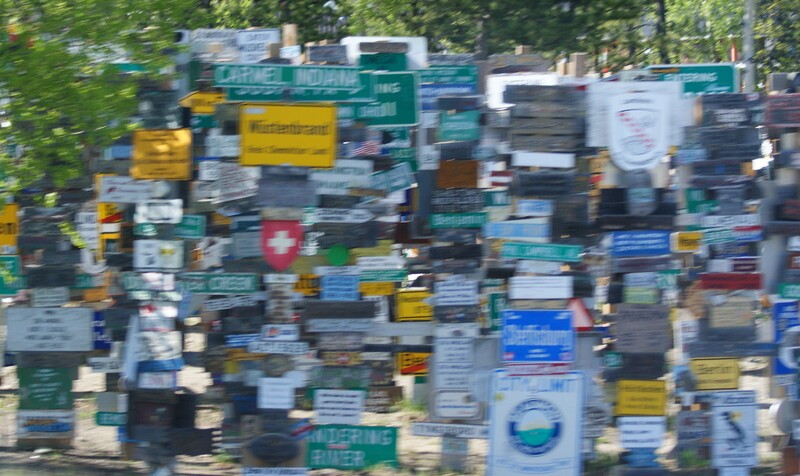 Sign Post Forest. Started in 1942, a homesick U.S. Army G.I. nailed up a sign, pointing the way home. In 1990, the 10,000th sign went up, and the last number I could find is 2002 at 49,777, and include signs from all over the world. On Sunday, we’ll continue our journey from Watson Lake, on to Muncho Lake.